What Was the Fed's Operation Twist? Operation Twist is a name given to a type of monetary policy operation performed by the Federal Reserve Bank. It involves buying and selling government bonds in an effort to provide monetary easing for the economy, although it's not quite as aggressive as another type of monetary policy called quantitative easing. The actual nickname comes from a visual display of the Operation Twist expected effect on bond yields. If you were viewing a graph of long-term and short-term bond yield curves, you'd see that as the short-term yield curve trends up, the long-term interest rates trend down at the same time, creating a twist in the chart's trendlines. The U.S. Federal Reserve (the Fed) implemented the Operation Twist program in late 2011 and 2012 to help stimulate the economy. The operation gained its nickname due to the Fed’s initiative of buying longer-term Treasuries and simultaneously selling some of the shorter-dated issues it already held in order to ease the economy by bringing down long-term interest rates. The term “Operation Twist” was first used in 1961–in a reference to the Chubby Checker song and the dance craze it engendered–when the Fed employed a similar policy. The newer Operation Twist was instituted in two parts. The first ran from September 2011 through June of 2012 and involved the redeployment of $400 billion in Fed assets. The second ran from July 2012 through December 2012 and encompassed a total of $267 billion. The Fed announced the second phase of this newer Operation Twist in response to continued sluggish growth in the U.S. economy. In December 2012, the Fed stated that it would end the program and replace it with a stronger version of its existing policy of "quantitative easing" – which seeks to lower long-term rates by making open-market purchases of longer-dated U.S. Treasuries and mortgage-backed securities. The idea is that by purchasing longer-term bonds, the Fed can help drive prices up and yields down (since prices and yields move in opposite directions). At the same time, selling shorter-term bonds should cause their yields to go up (since their prices would fall). In combination, these two actions “twist” the shape of the yield curve. Why Does the Fed Want Lower Long-Term Interest Rates? Lower longer-term yields help boost the economy by making loans less expensive for those looking to buy homes, purchase cars, and finance projects, while saving becomes less desirable because it doesn't pay as much interest. What Events Preceded Operation Twist? Operation Twist was the third in a series of major policy responses by the Fed in response to the financial crisis of 2008. The first was cutting short-term rates to an effective rate of zero. That rendered the central bank unable to use further rate cuts to spur growth, so its next step was quantitative easing. The Fed then conducted two rounds of quantitative easing, which market-watchers dubbed “QE” and “QE2.” Shortly after QE2 concluded in the summer of 2011, the economy began to show signs of renewed weakness. Rather than immediately opting for a QE3, the Fed responded by announcing Operation Twist. The Fed later launched QE3 and announced that it would in effect until unemployment fell to 6.5 percent or inflation rose to 2.5 percent. Although inflation remained low, the unemployment goal having been met, the Fed ended its quantitative easing policy in October 2014. What was the Reaction to Operation Twist? Prior to the actual announcement of the program, yields on longer-term bonds indeed fell on the expectation that the policy would be put in place. In that sense, it achieved its objective in the short term. Longer term, however, the jury is still out: a study of the 1961 version of Operation Twist showed that it drove down rates on Treasury bonds by only 0.15 percentage points, with little impact on either mortgage rates or corporate borrowing costs. In the financial community, Operation Twist was generally seen as being too weak to improve the economy or bring down the unemployment rate. 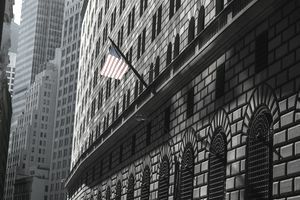 The news service Bloomberg reported results of a poll of 42 economists, of which 61 percent said the program would have no effect and 15 percent thought it would actually inhibit an economic recovery. Why are yields so low? How does the Fed control short-term interest rates? How Is the Discount Rate Different From the Fed Funds Rate? How Much U.S. Debt Does China Own?